These intriguing words are a quote from the beautifully written short story, The Fall Of The House Of Usher, by terror master Edgar Allan Poe. And it was based on this tale that director Roger Corman made a classic film that no horror fan should miss. What’s it about? After a long journey, Philip (Mark Damon) arrives at the Usher mansion seeking his loved one, Madeline (Myr na Fahey). Upon arriving, however, he discovers that Madeline and her brother Roderick Usher (Vincent Price) have been afflicted with a mysterious malady: Roderick’s senses have become painfully acute, while Madeline has become catatonic. That evening, Roderick tells his guest of an old Usher family curse: an evil so great that it drags family members to insanity and horrible deaths. As the days wear on, the effects of the curse reach a terrifying climax. Verdict: It’s wonderful to see this horror classic’s original beauty and visual style restored to HD 1080p from the original master, giving us a new look at its gorgeous cinematography. The fantastic production design by Daniel Haller, which makes the house itself a main character in the story, is magnified by the sharp images of this digitally restored presentation. 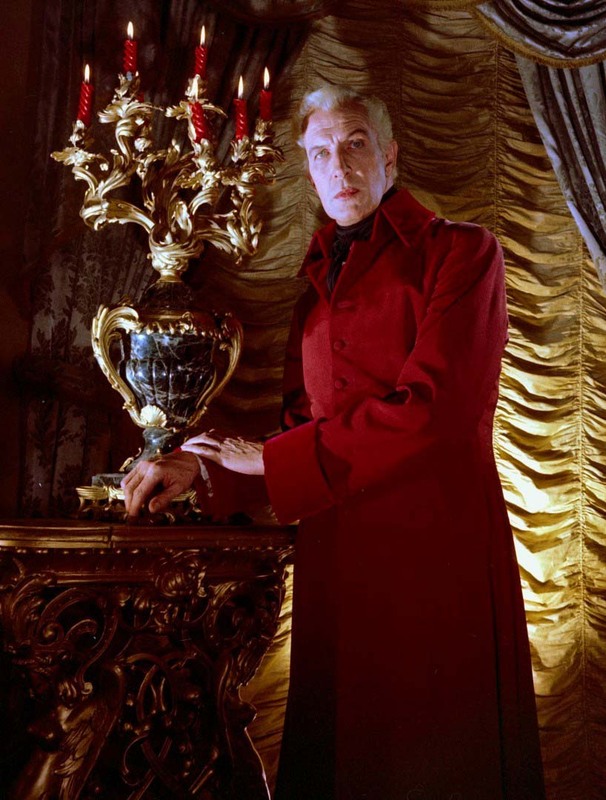 The colours, the shadows, the faces of the protagonists lit by candlelight all look magnificent, and viewers can enjoy every little detail of the old-school built-up sets. On the other hand, the HD quality reveals tiny mistakes not easily seen in the original, such as shots slightly out of focus, over-lit sets and make-up tricks. It might also have benefited from a 5.1 sound mix to surround the audience with creaking doors, howling wind and rumblings from the house walls, rather than keeping the original uncompressed 2.0 mono PCM audio. The true star of the film is Vincent Price. The actor, who died in 1993, portrayed Roderick with such credibility and eerie confidence that he overshadows the performances of his co-stars. His presence feels like a threat both to the audience and to Damon’s character. The expression in Price’s eyes shows the lunacy and madness Roderick is suffering. The actor carries the movie on his shoulders and, through just his body language, lets the audience know his character’s psyche is as cracked as the walls of the house. Of course, the film would not be the same without director Roger Corman, who made a low-budget movie look almost like a big-budget feature, thanks to the way he lit and shot the sets. For example, the flames at the climax were shot in a real building that was about to be demolished, giving the film a bigger budget look. Corman also used dream sequences, which might not work entirely for modern audiences but, back in the 60s, it was a scary narrative technique that later became a regular motif in Corman’s series of Poe-based films. 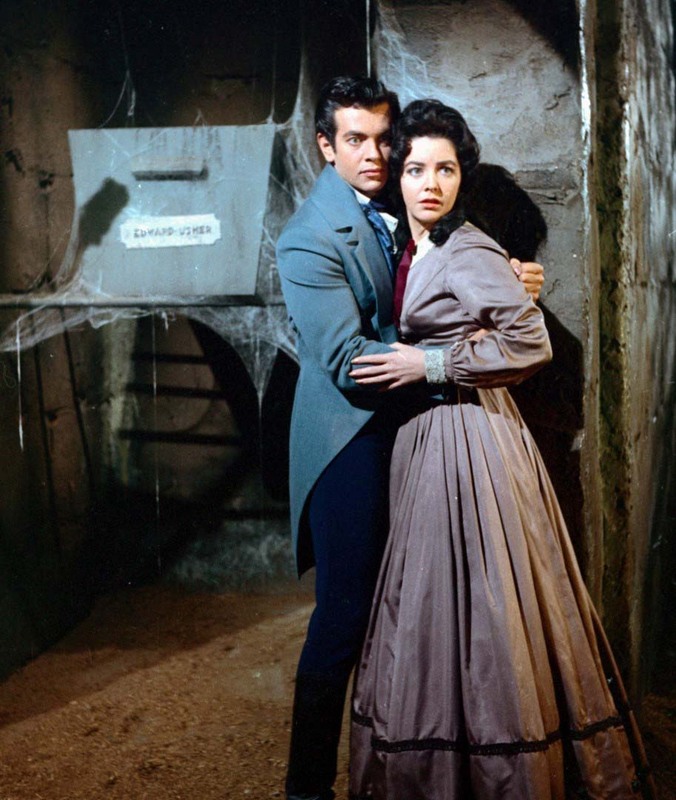 In The Fall Of The House Of Usher, Corman took a good screenplay by I Am Legend author Richard Matheson and made a brilliant, successful film that scared audiences around the world. Extras: Expect stacks of extras including: audio commentary with director and producer Roger Corman; Legend to Legend: interview with director and former Corman apprentice Joe Dante; interview with author and Gothic horror expert Jonathan Rigby; Fragments of the House of Usher: a specially-commissioned video essay by critic and filmmaker David Cairns examining Corman’s film in relation to Poe’s story; archival interview with Vincent Price; original trailer; reversible sleeve featuring original and newly commissioned artwork by Graham Humphreys (standard release only); collector’s booklet featuring new writing on the film by author and critic Tim Lucas and an extract from Vincent Price’s long out-of-print autobiography, illustrated with original archive stills and posters. Final Words: As Corman said himself, The Fall Of The House Of Usher is a monster movie in which the house is the monster. A classic film dealing with the theme of mental illness which has since become a recurrent theme in horror movies. Now you can experience a game-changing film that helped define the genre as we know it today.